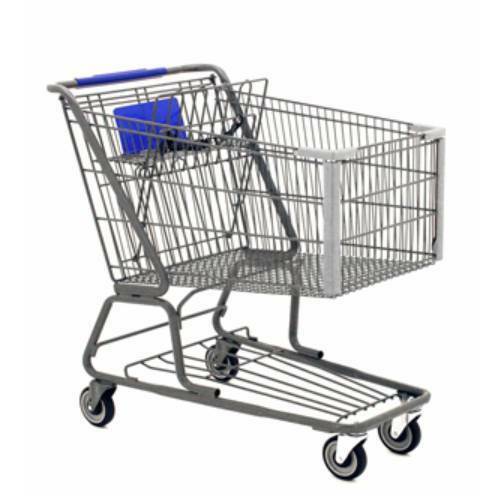 We are the manufacturer, supplier and trader of Shopping Trolley. These Airport Luggage Carts are used for Airports. We offered our products at affordable cost. Established in the year 2011, we, “Shreeji Industries”, are one of the eminent organizations, engaged in manufacturing, supplying and trading Material Handling Equipment. The range offered by us comprises Hydraulic Trucks, Hydraulic Stackers and Hydraulic Lifting Equipment. Our offered range is designed and developed in accordance with the guidelines laid in the international quality standards. These products are developed using quality-assured raw materials that are sourced from the accredited vendors of the industry. Supported by a team of diligent professionals, we are able to accomplish the organizational tasks in efficient manner. Our professionals never make any sort of compromise with the quality of the products, which has gained us formidable position across the national and international markets. Further, we have established a vast distribution network, which enables us to meet the bulk demands of customers in efficient manner. China is the country from where some of our products are imported.